My talented friend Tiffany and I bartered: I would create a name plaque for her and she would make a gift baby quilt for another friend of mine. 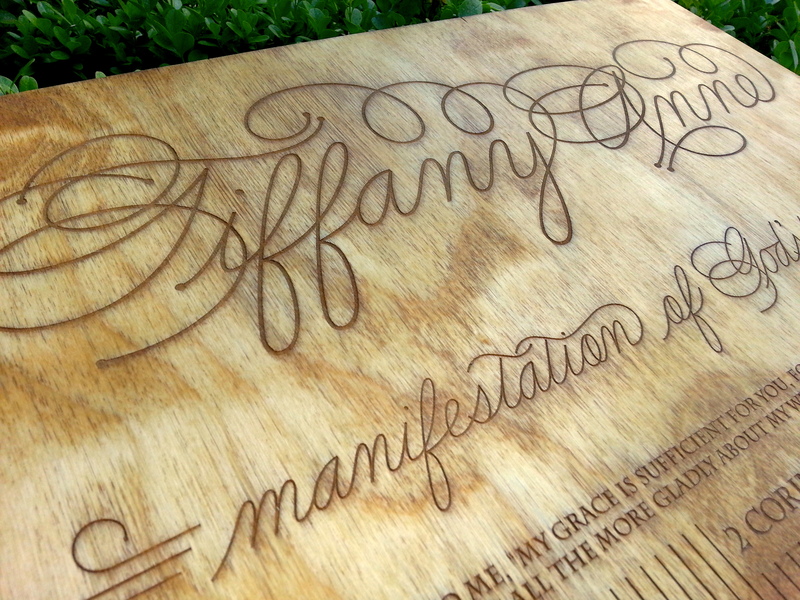 Custom sketch, digitized, and then laser etched onto birch plywood. I’m not 100% happy with how the staining turned out. It looks great from some angles, but from others the words completely disappear! Live and learn. 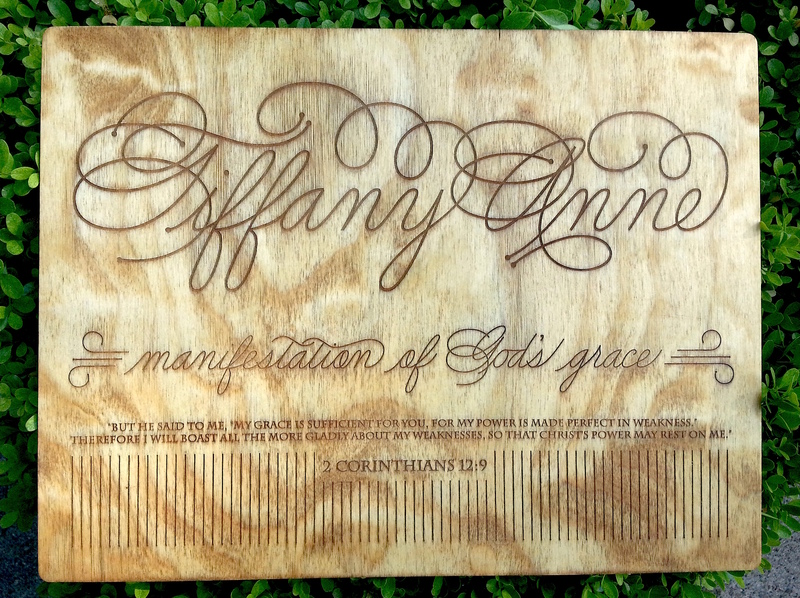 Oh, and because I did it all in Fontlab, I gave her the font so she can use ‘Tiffany Anne’ as a signature or tag on other projects. Fun!